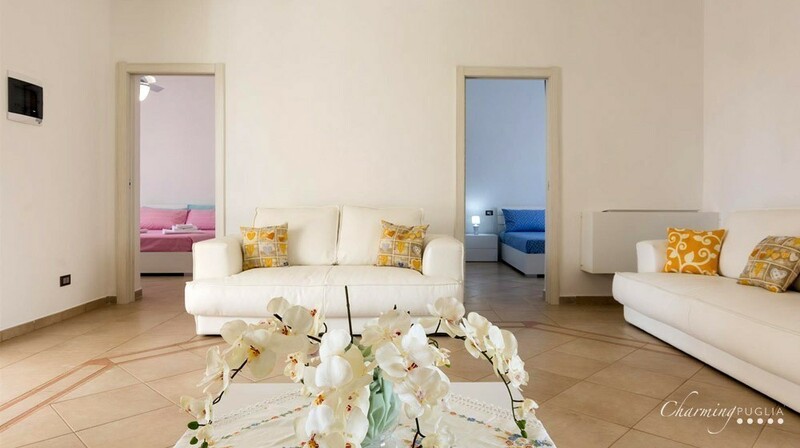 Villa Afrodite is a splendid villa at Certosa, a hamlet of the medieval city of Ostuni in the Province of Brindisi. 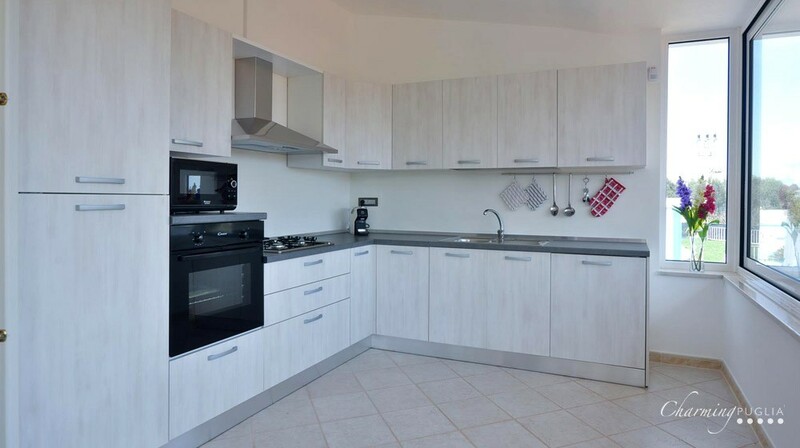 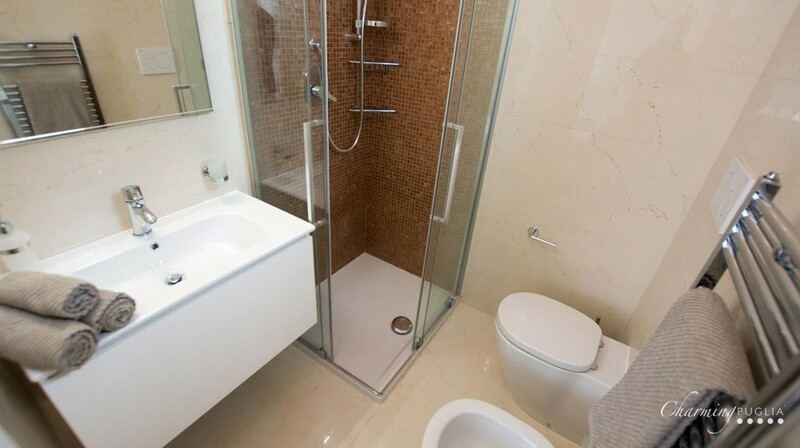 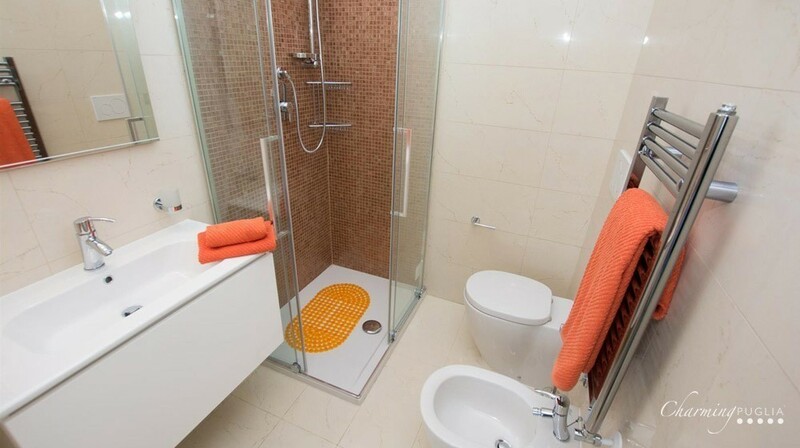 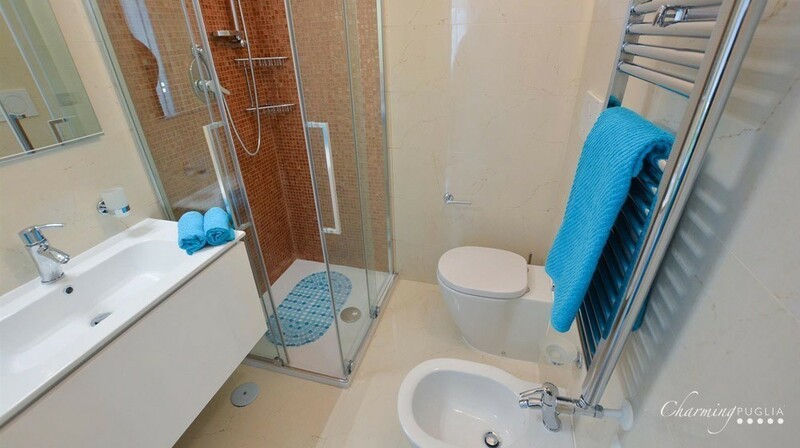 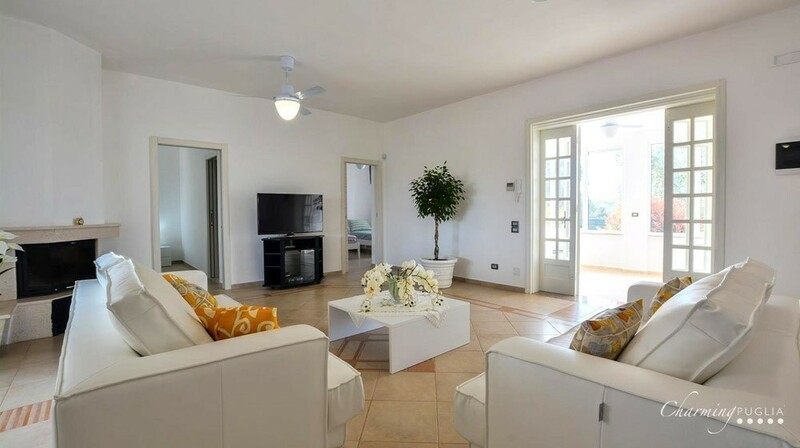 Its interior consists of 4 bedrooms each with en-suite bath, a large living room and a fully equipped kitchen. 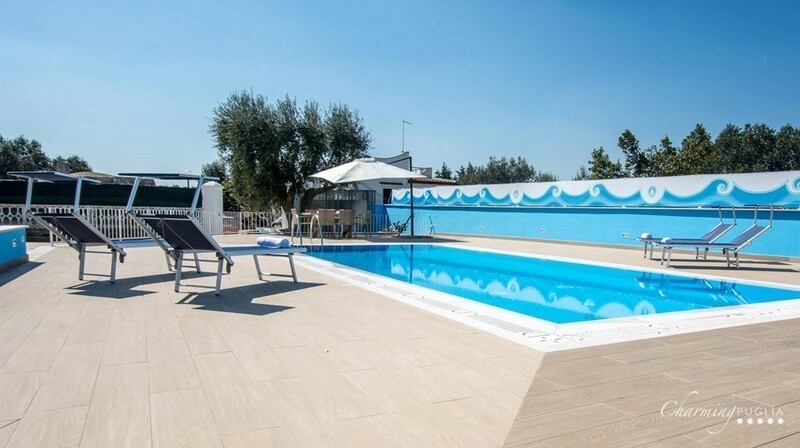 As soon as you cross the threshold, you will be struck by the splendid view of the pool set in a lush garden, with a ping-pong area, seesaws and playground area for the kids. 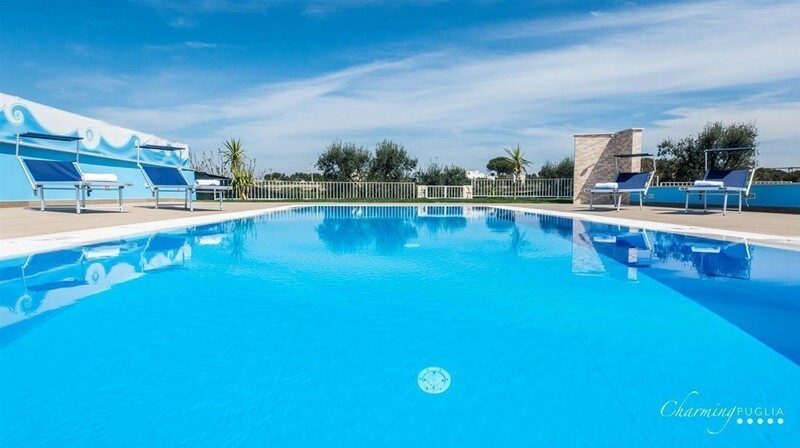 Round the pool are set sun loungers for sunbathing or enjoying the splendid sunsets while sipping a glass of fine wine. 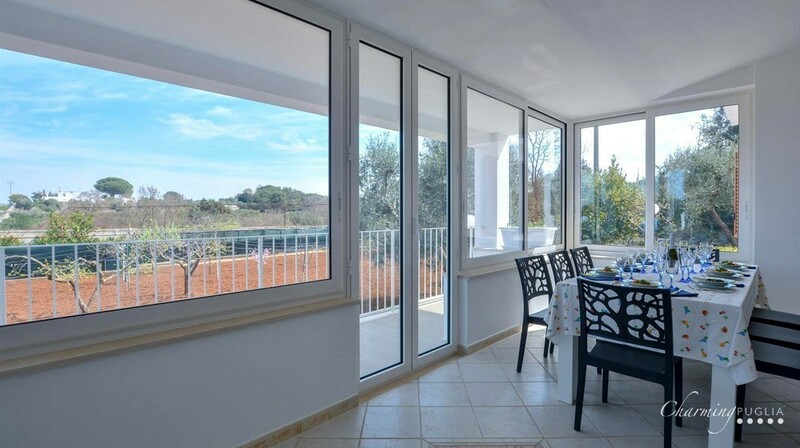 Of great visual impact is the veranda with automatic sun canopies providing cool and shade during the hottest hours and making it an ideal place for snacks at any hour of the day. 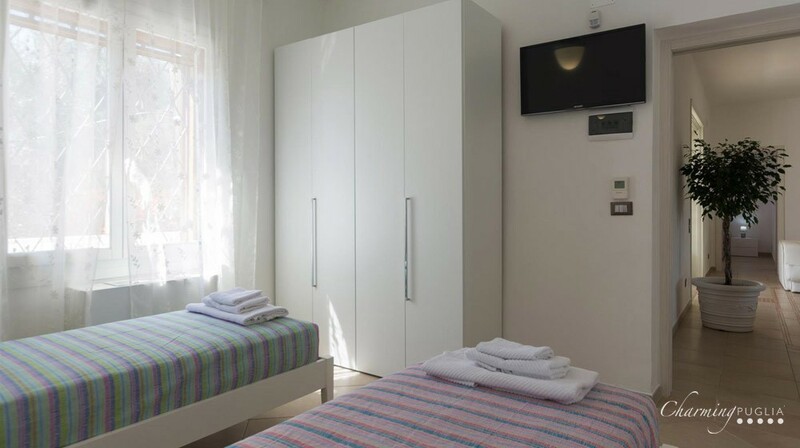 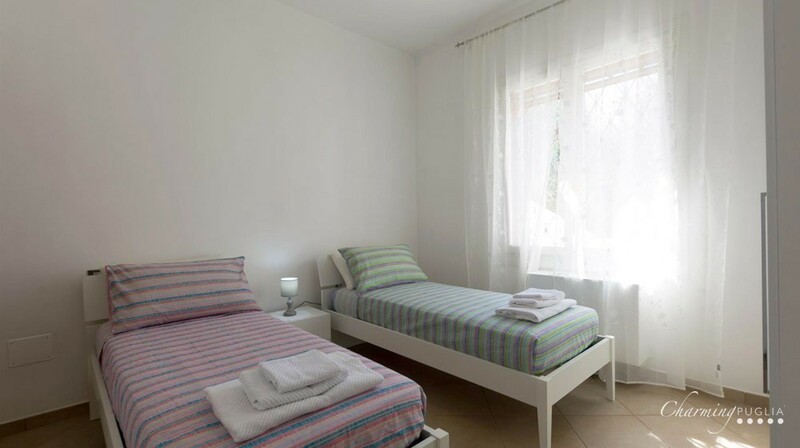 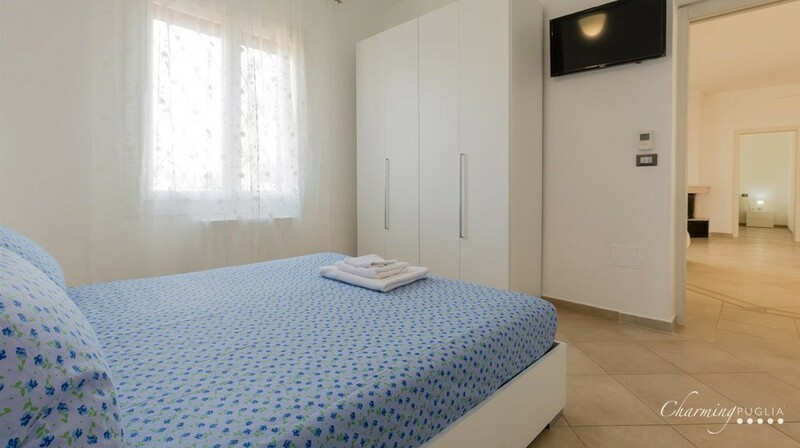 All bedrooms of Villa Afrodite are large and well-lit, thanks to their outlook over the garden and patio. 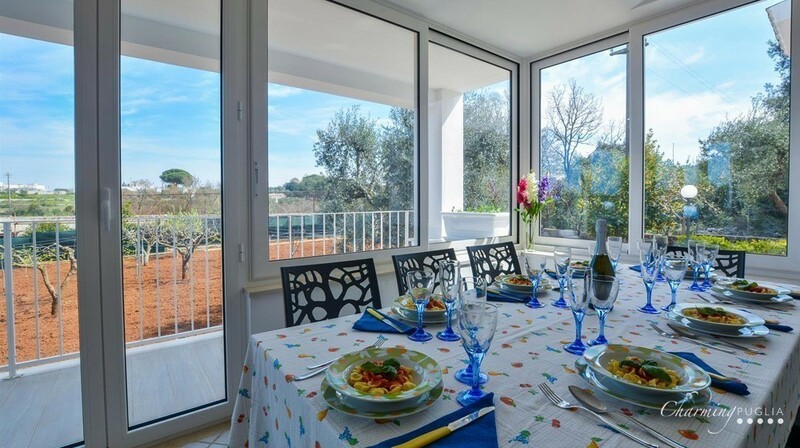 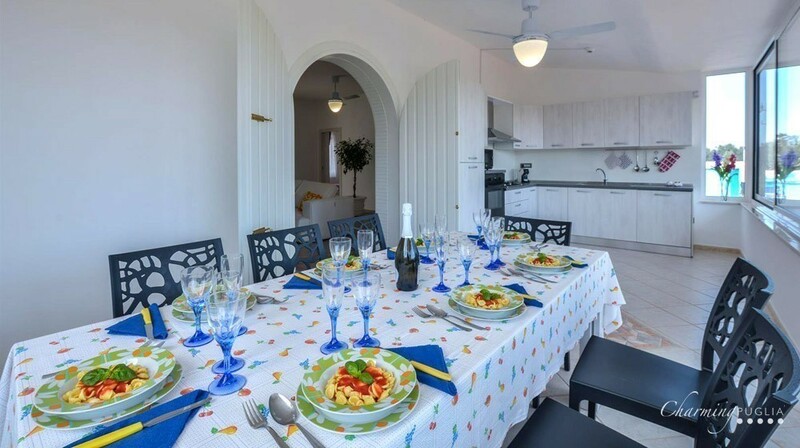 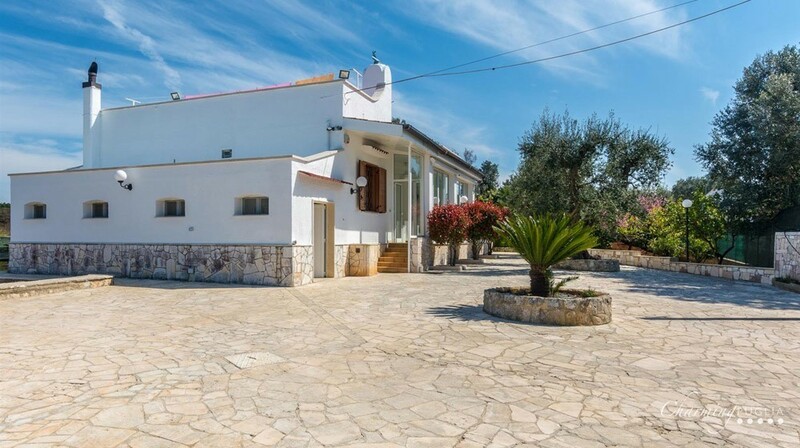 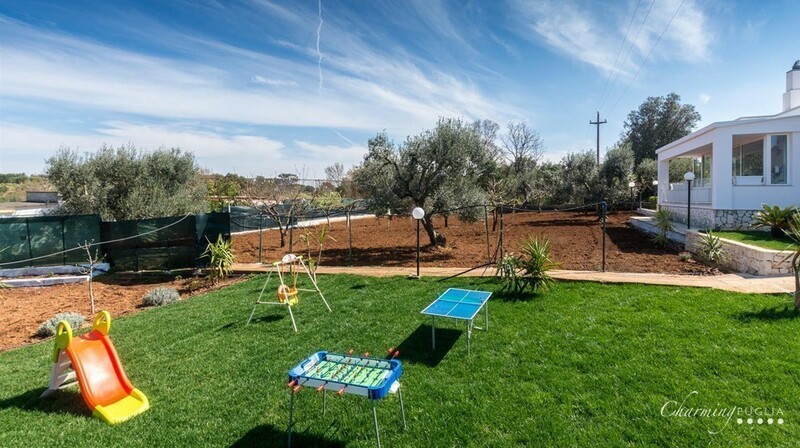 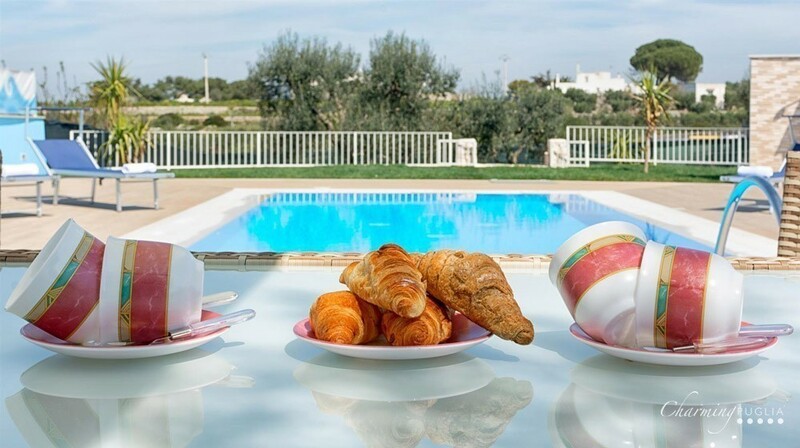 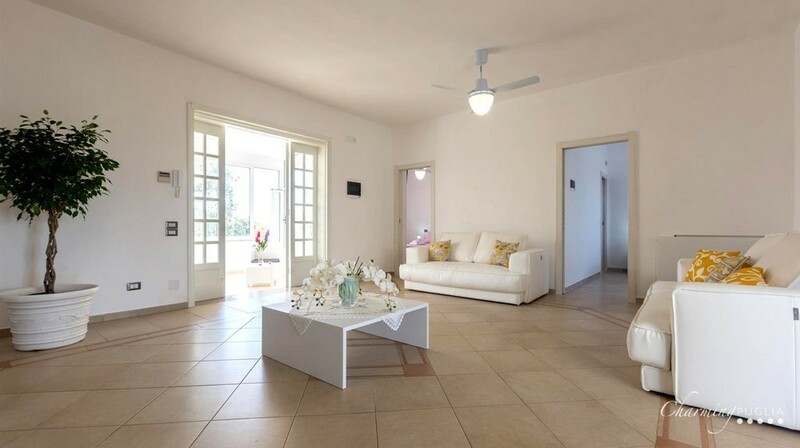 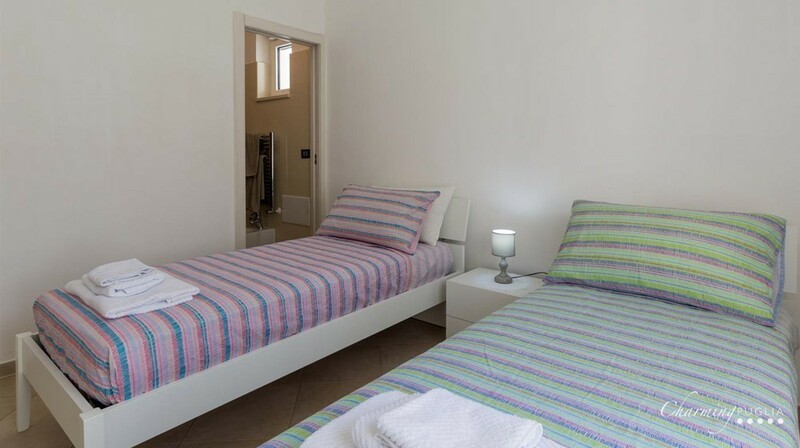 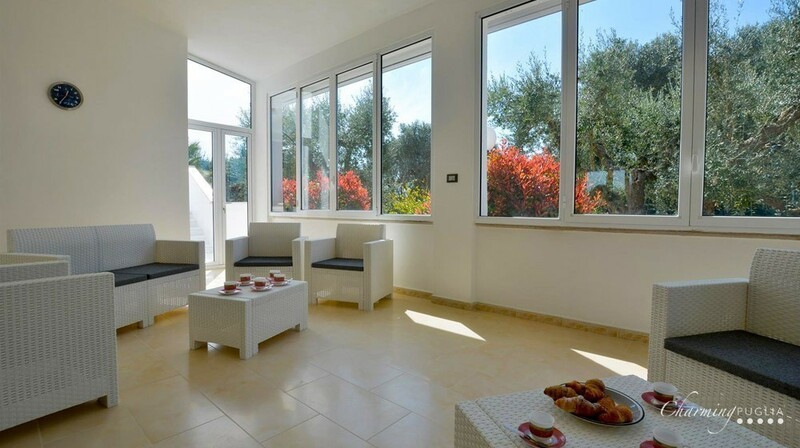 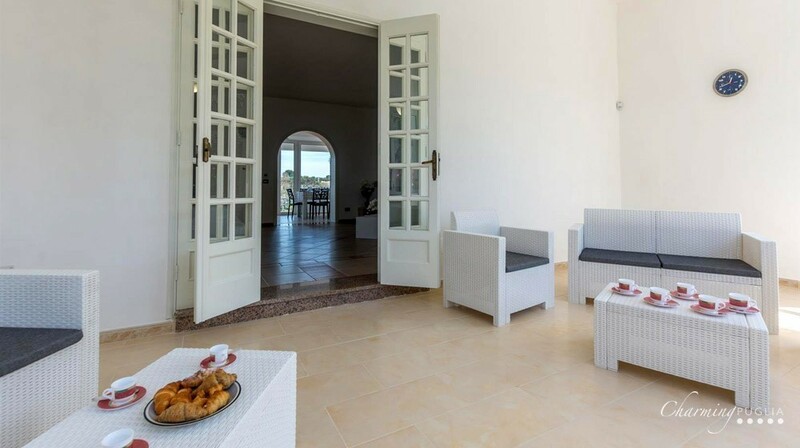 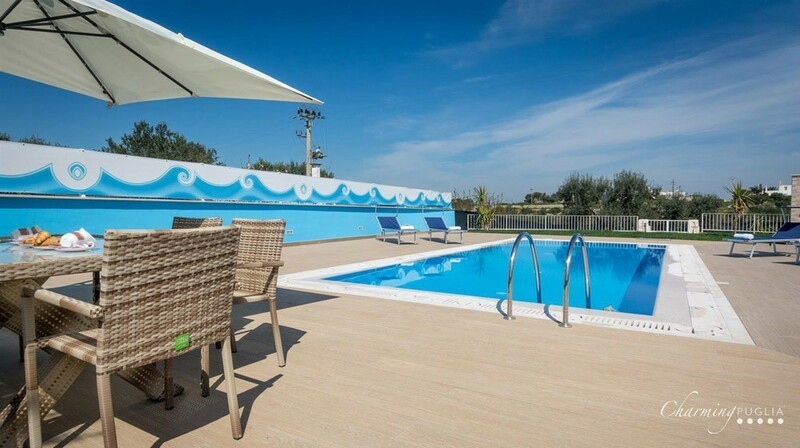 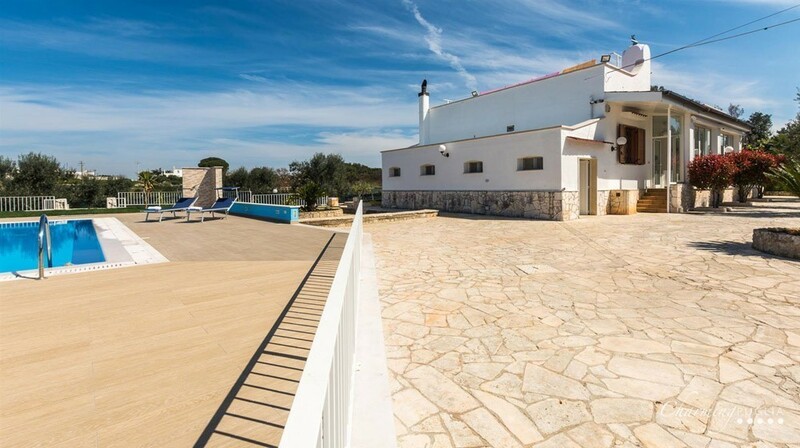 Villa Afrodite is just a 5 minutes’ drive from Ostuni, known as the ‘White Town’ – a tourist attraction appreciated by travellers from all over the world drawn by its famous historic centre.